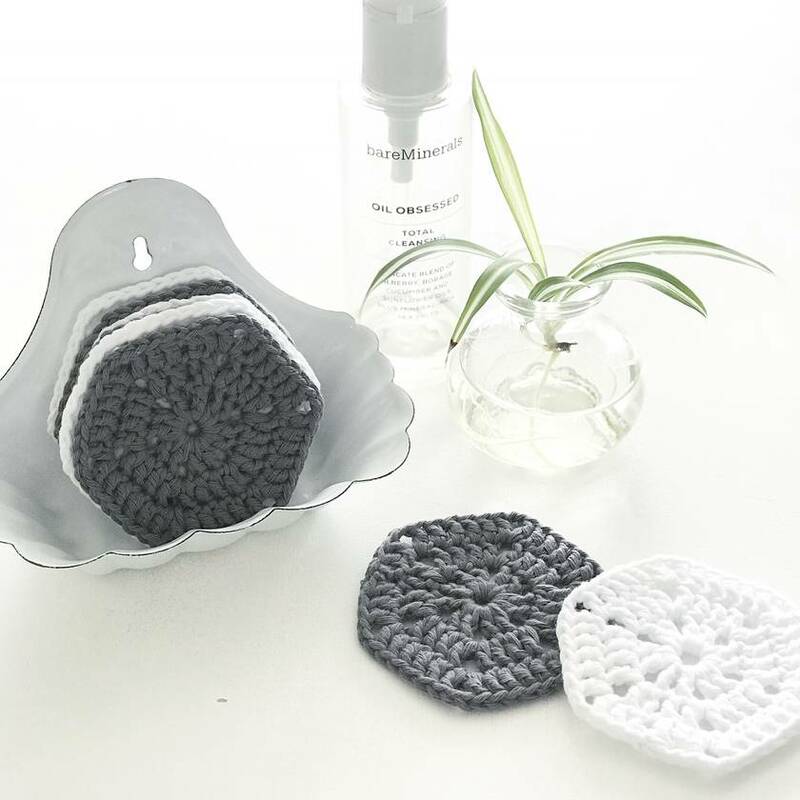 A beautiful set of deliciously soft 100% cotton ‘hex’ makeup removers/face scrubbies. Use the slate grey to remove dark eye makeup, and the white to refresh your face in the morning or apply toner. Being 100% cotton and reusable, they’re perfect for those with an eco-friendly conscience. Practical doesn’t have to be boring...practical can be pretty too, and these wee hex’s bring a little luxury to an everyday task. They also lend a little modern Scandi style to your bathroom, and look pretty stacked up within easy reach for when you need to whisk off your makeup. 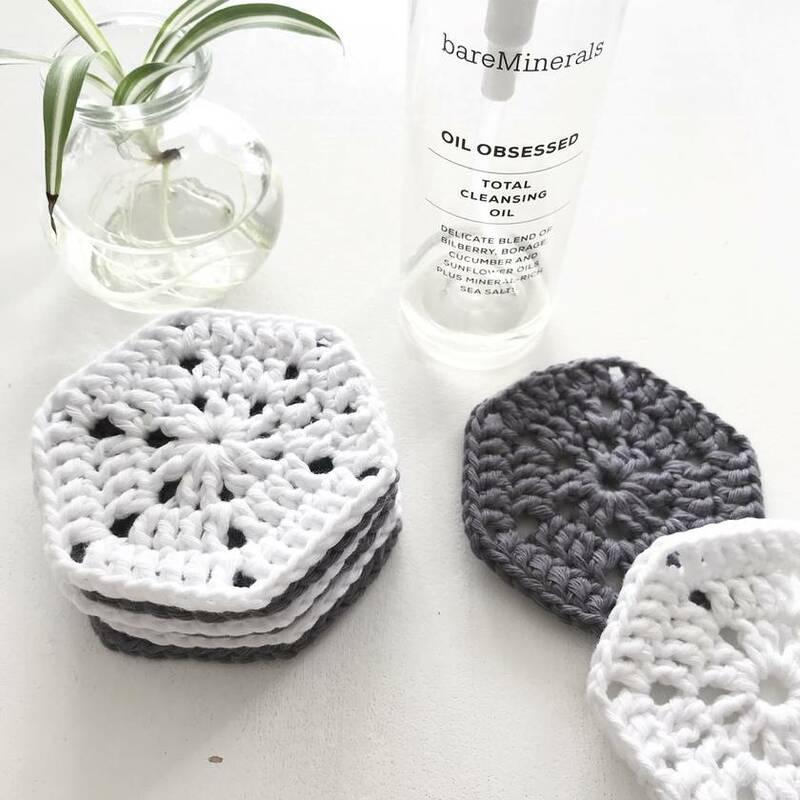 They are the perfect gift for your friends with an eco-conscience, or treat yourself and bring some beautiful to your bathroom. 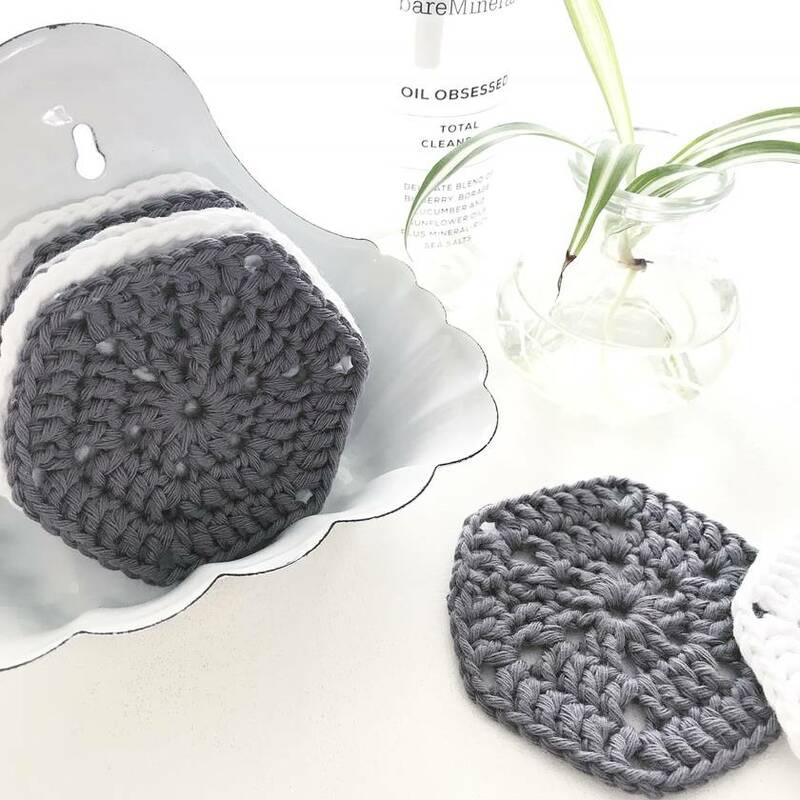 Each scrubbie measures approx 8cm in diameter. Warm, gentle machine wash, reshape whilst damp & dry flat in shade, low iron. DO NOT bleach, tumble dry, or dry clean. Each item I make is totally unique due to the variations and nature of the yarn. Please note: this listing is for x1 set of 8 makeup scrubbies....all other items in the photos are for display purposes, and are NOT included in the sale. If you wish to purchase more than 1 item from BlushHome, please contact me about combined P&P costs. All items I make are made in a Smoke-Free Home. Actual colours may vary. This is due to the fact that every computer monitor has a different capability to display colours and that everyone sees these colours differently. I try to edit my photos to show products as life-like as possible, but please understand the actual colour may vary slightly from your monitor. I cannot guarantee that the colour you see accurately portrays the true colour of the product. Rural delivery charge applies. Pick up by arrangement. Contact blushhome to enquire about payment or shipping options.